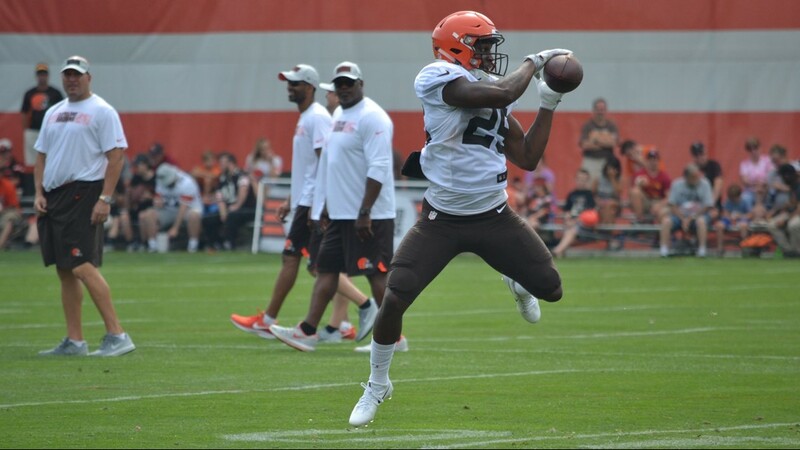 Cleveland Browns running back Dontrell Hilliard reaches back to make a catch during Day Five of Training Camp at the team's Berea headquarters. 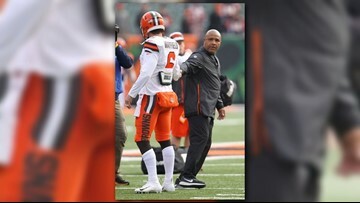 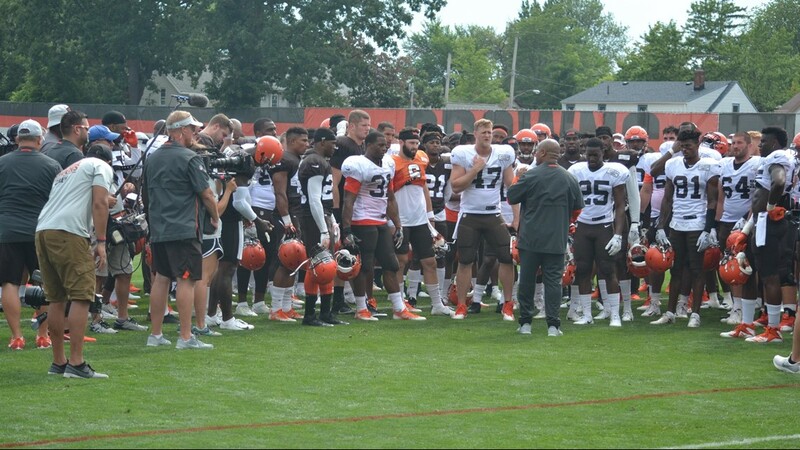 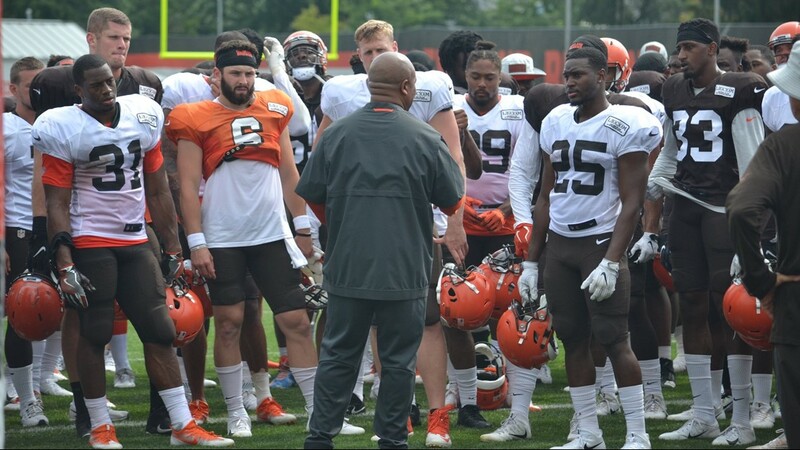 Cleveland Browns Coach Hue Jackson holds a meeting with the team at the end of practice on Day Five of Training Camp at the team's Berea headquarters. 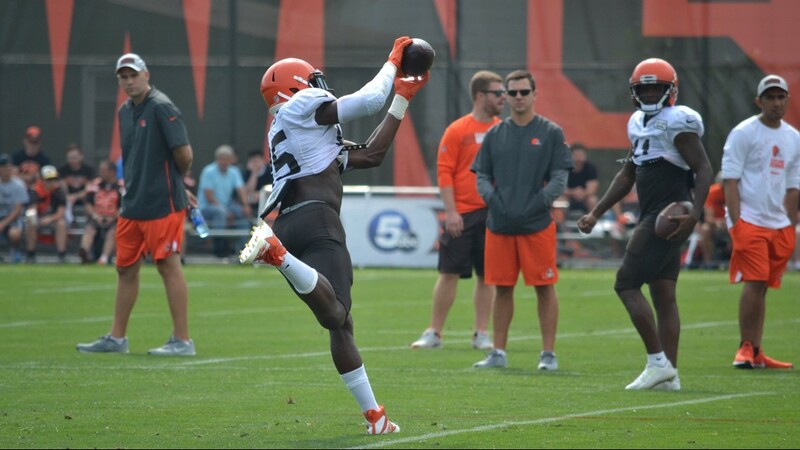 Cleveland Browns tight end David Njoku stretches to make a catch during Day Five of Training Camp at the team's Berea headquarters. 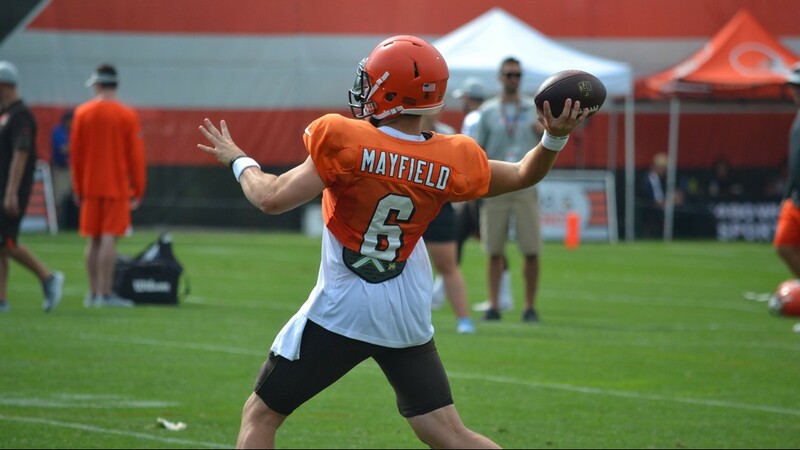 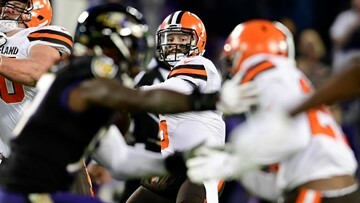 Cleveland Browns quarterback Baker Mayfield winds up to throw a pass down the field during a drill on Day Five of Training Camp at the team's Berea headquarters. 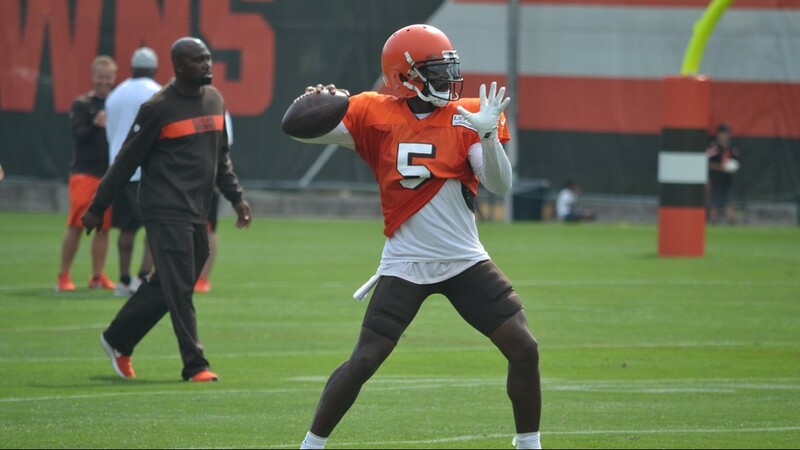 Cleveland Browns quarterback Tyrod Taylor squares up to throw a pass down the field during a drill on Day Five of Training Camp at the team's Berea headquarters. 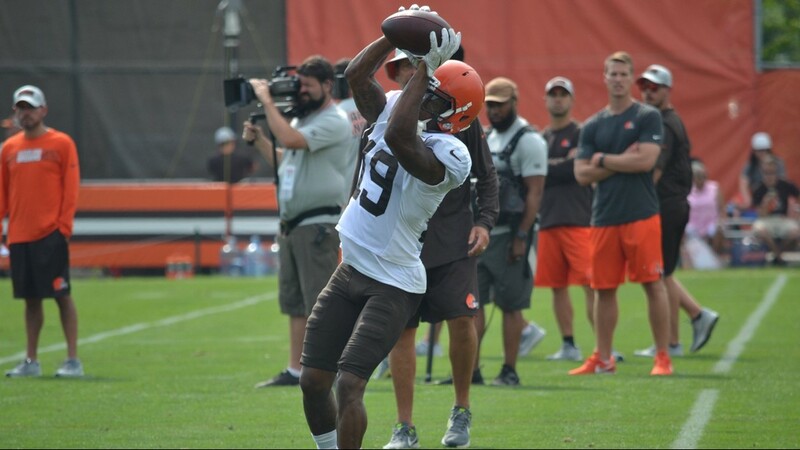 Cleveland Browns wide receiver Antonio Callaway hauls in a pass during a drill on Day Five of Training Camp at the team's Berea headquarters. 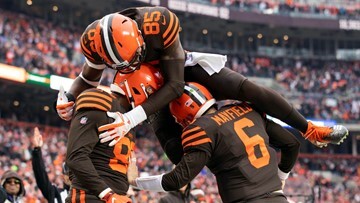 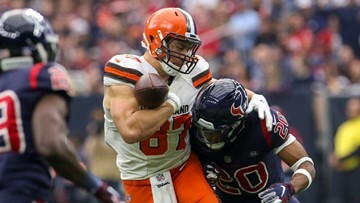 Cleveland Browns wide receiver C.J. 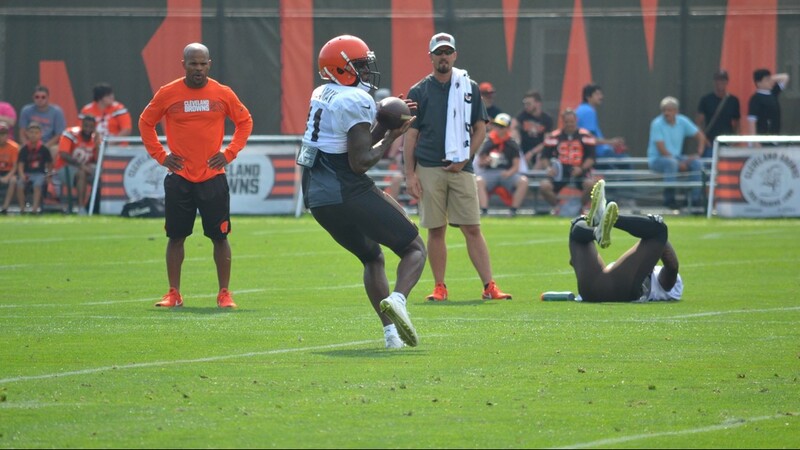 Board catches a pass over the middle of the field during a drill on Day Five of Training Camp at the team's Berea headquarters. 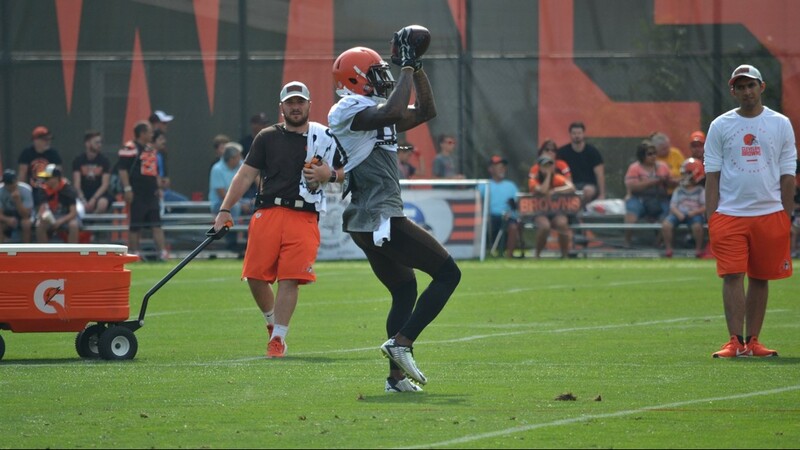 Cleveland Browns wide receiver Jarvis Landry reaches up to make a catch during a drill on Day Five of Training Camp at the team's Berea headquarters. 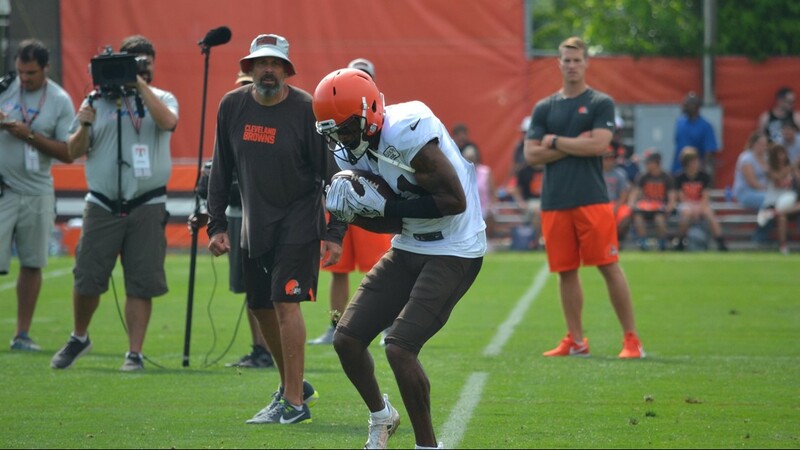 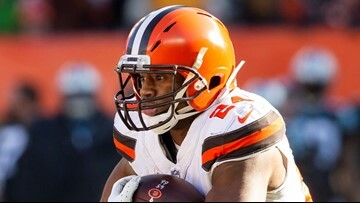 Cleveland Browns wide receiver Da'Mari Scott secures a catch against his helmet during a drill on Day Five of Training Camp at the team's Berea headquarters. 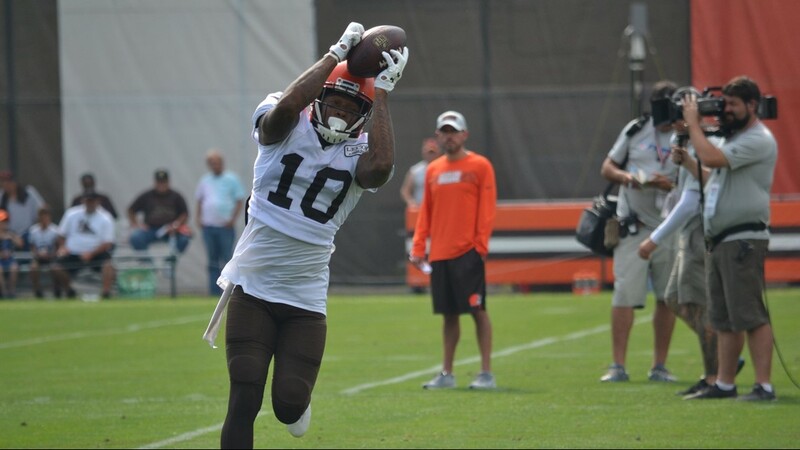 Cleveland Browns wide receiver Corey Coleman jumps to make a catch during a drill on Day Five of Training Camp at the team's Berea headquarters. 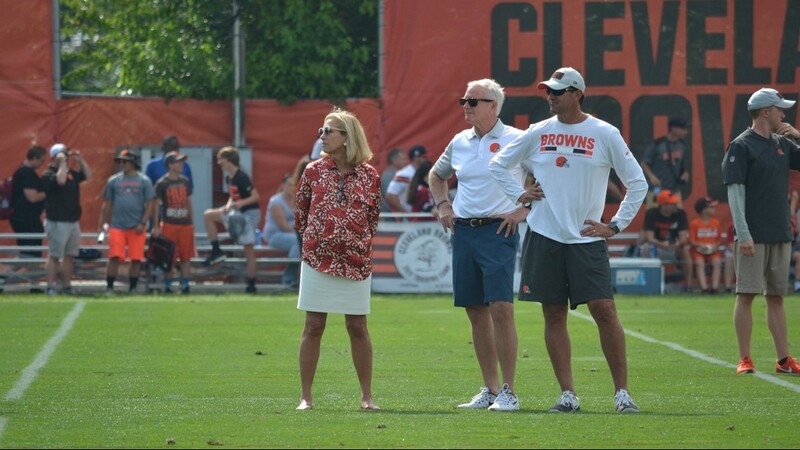 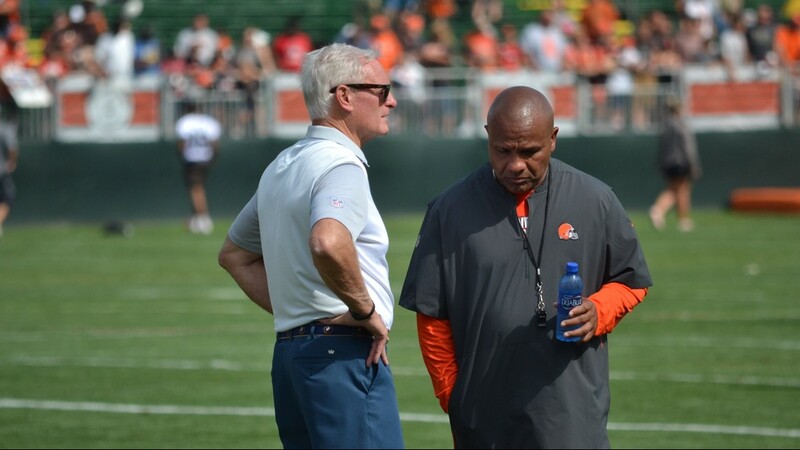 Cleveland Browns owner Jimmy Haslam (left) meets with coach Hue Jackson following practice on Day Five of Training Camp at the team's Berea headquarters. 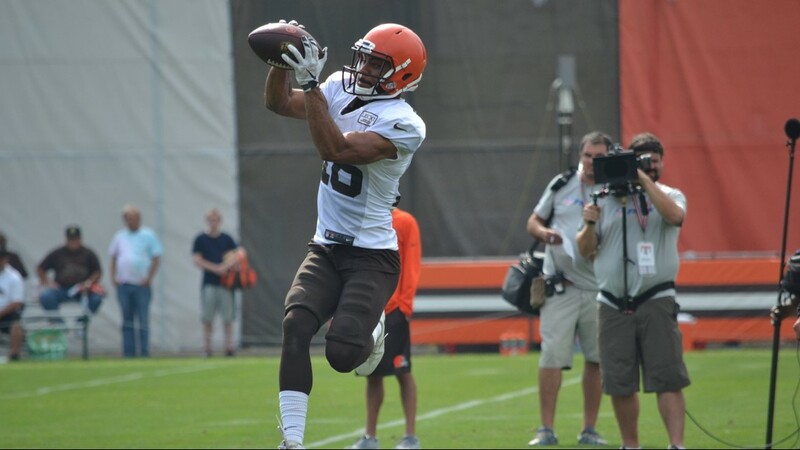 Cleveland Browns wide receiver Rashard Higgins corrals a catch over the middle of the field during a drill on Day Five of Training Camp at the team's Berea headquarters.